Working from home can be pretty cumbersome especially with a toddler around. We all know how toddlers are right?…All over the place,grabbing everything and seeking attention. So what to do if your nature of work allows you to work from home? Choose a particular place in your house where you will be working from. It can be your bedroom or if you have plenty of space, then you can have an exclusive working room.Let your child get used to that from a young age.With time, they will understand that when you are at that particular place, you don’t need to be stabbed. You might think that you got it all figured out, but trust me you will need help. Juggling between work and tending to a toddler can drain you not only emotionally but also physically. This could affect your work and you wouldn’t want that.After all, bills need to be paid. 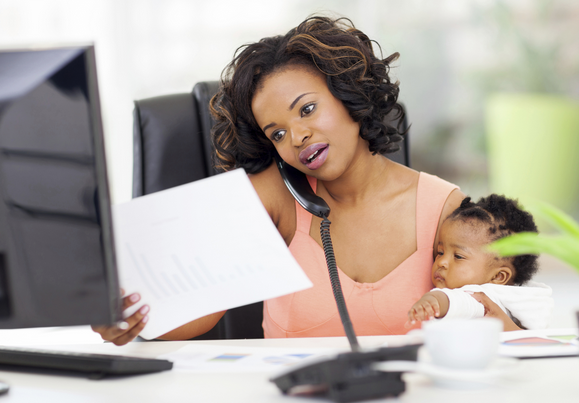 Since you will not be having someone watching your movements all the time, it will only be wise to come up with a work schedule.Be sure to take short breaks in between for refreshments and also play with baby. The fact that you are home will not keep your toddler away for long. So it would be wise if you engage them for a while. Buy enough playing toys for your little one.Clear a playing area for them and let them enjoy their playtime. By the time they are done playing, you would have done something tangible too. Do not miss all our updates on mothers making money online in Kenya.